I have owned Sugarbomb by Benefit for over a year now and it has definitely become one of my ‘go to’ blushes during that time. It is one of those blushes that suits every make-up look no matter what the occasion is and is perfect whether you be a professional make-up artist or beginner. Let me explain. Sugarbomb blush is made up of four gorgeous shades including light rose, medium pink, soft plum and sumptuous peach which when combined complement each other beautifully. You can wear each of these pretty colours individually (if you have a brush small enough to pick up just one) or like myself mix the four together to give your cheeks the most perfect natural girly glow due to the hint of peachy pink. 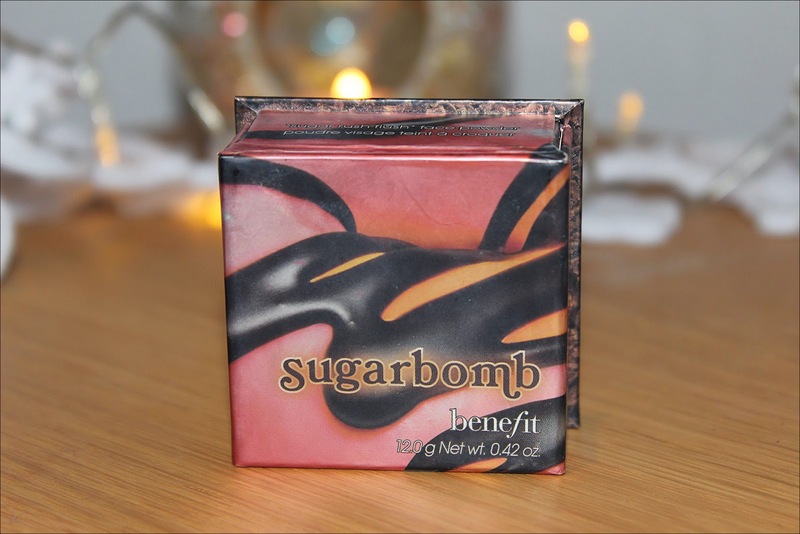 The formulation of Sugarbomb is soft but has a firm texture so you get minimal fall out when dipping your blush in the box. 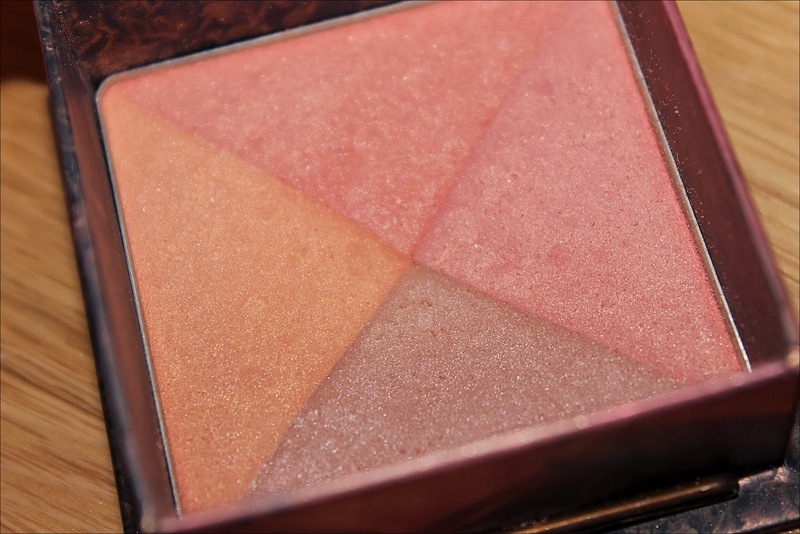 It is a little dryer than other blushers in my collection so I think it would be most suitable for those with combination or oily skin, however, if you have dry skin I would definitely go to a Benefit counter to give it a try too as it is a lovely product and may work. This pretty powder blush is picked up easily by the brush and blends beautifully onto the skin which means it looks natural rather than streaky. 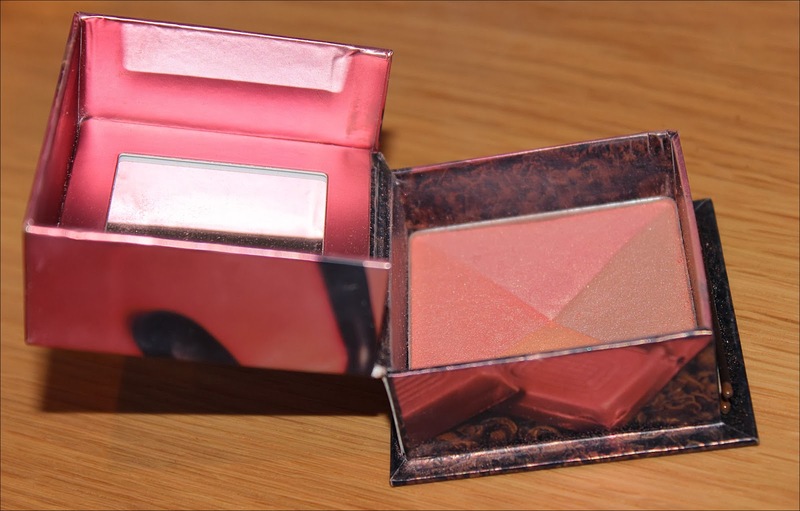 The finish is a very subtle frost which gives the skin a gorgeous glow without being too over the top or obvious and due to it’s subtle sheer but buildable colour I would say this blush is most suitable for those with a fair skin tone. As the pigmentation isn’t too heavy it is perfect for beginners or those days where you don’t have much time to pay attention to a very strong blush and blending. I find the packaging of Sugarbomb cute but a little bulky to store and carry in your make-up bag. Whilst this blush isn’t as sleek as others on the market without fail this packaging shouts the Benefit brand, is instantly recognisable, unique and consistent with their other product packaging. 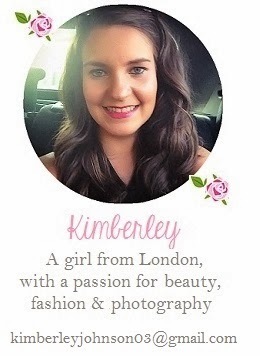 You can buy the Sugarbomb Benefit blush from a number of stores including Debenhams for £23.50. What do you think of Sugarbomb? Thanks for the review. I like the colors very much – you are right, they're good for everyday – and a firm texture should keep it from cracking. I've never owned it or even tried it, but I think it looks lovely! The colours look so pretty!! Just wondering, do you have to relink your end links on every post or is there a shortcut? Oh I love Sugarbomb, mine is all crushed and broken but I still use it and I'll keep it til every little crumb (yep, they are basically crumbs now) are gone! Great review 🙂 have you ever tried benefits rockatuer? It's gorg!